The Mad Titan carves a bloody path in Avengers: Infinity War, but someone is on the way to stop him. Marvel Studios has revolutionized the way we watch movies in a particularly weird way—a decade ago, most people left the theater the moment the credits began rolling. Now, swathes of moviegoers diligently sit through all the credits, hoping to see a little something extra. Marvel’s latest film Avengers: Infinity War does this, but it’s so much more than an extra. Ever since Nick Fury walked out of the shadows to invite Tony Stark to a much bigger world at the end of Iron Man, Marvel’s post-credits scenes have been relatively inconsequential, in the grand scheme of things. That’s not a knock—they’re meant to be fun little extras for fans, either teases of what’s to come (literally, in the case of Captain America: The First Avenger’s tag being a straight up trailer for The Avengers), or another great joke. One of Spider-Man: Homecoming’s tags deliberately plays at this emptiness, as Captain America himself walks back on screen to remind us that sometimes we’re patient for things that end up being absolutely nothing. Despite the fact we have essentially been re-wired by Marvel to stay in our theater seats a little longer than we used to, we have also spent the last decade being taught that these are simple, funny extras with little in the way of actual meaning to the wider film they’re attached to. If you miss them, it’s no big deal. But then Infinity War happened. And the ending of Infinity War is perhaps one of the most brutally gut-wrenching climaxes Marvel has ever done. Tony Stark reflecting the appropriate level of distress most audiences will feel seeing Infinity War for the first time. 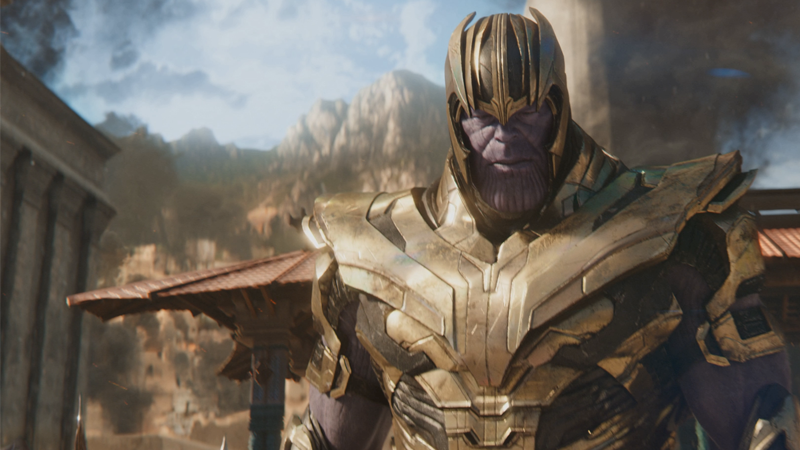 Even if you’re a knowing comics fan aware of the source material’s love of undoing seemingly horrifying cliffhangers, or a Marvel movie buff who has devoured all the news they can about this movie and the movies that will follow, there is a great deal of tragedy in watching your heroes not just fail, but be broken by the events of Infinity War’s climax. Both spiritually, and in the cases of an alarmingly long list of beloved characters, literally, as they are disintegrated with a snap of Thanos’ fingers. You watch a teenage boy, suddenly so alone and so scared, splutter that he’s not ready to die as his body breaks up in his mentor’s arms! One of the final lines in the whole film is Captain America, the Marvel universe’s beacon of stoicism and optimism, curled up on the floor muttering “Oh god” in shock! It’s grim stuff, especially for a big, explosive summer movie. You can’t follow that up with a jokey aside midway through the credits. To do so would cheapen the emotional climax of the entire film. And thankfully, Infinity War doesn’t, choosing to pass on a mid-credit sequence and twist something these post-credits have done before (tease an upcoming movie, in this case, Captain Marvel) into something Infinity War desperately needed to end with. A reminder that even though things are at the worst they could possibly be for this universe, help is on the way, and there are heroes out there still ready to fight. Hell, this scene is still partially as grim as the rest of the climax—it features two more long-running characters, Maria Hill and Nick Fury, being killed by Thanos’ Infinity Stone-powered snap. But its overall message is still a spark of hope: Captain Marvel is coming, and she will help fix the terrible things you just saw unfold. Carol probably won’t show up with a fleet of Alpha Flight ships like this cover for 2016's Captain Marvel #1, but it be pretty helpful if she did, right? If you recognize the star emblem and the red-and-blue color scheme that lights up on Fury’s space-beeper as even he turns to ash, it’s like momentary manna from heaven. But if you walk out before that scene? The way you feel is probably a bit bleaker. Even if you didn’t know who was on the other end of that space beeper, you at least knew help was coming. Arguably a post-credit scene in a Marvel movie hasn’t mattered anywhere near as much as Infinity War’s does to the emotional tone of the entire piece. Yes, like tags before it, it is an amuse-bouche for a movie that’s yet to come. But in treating Carol Danvers’ arrival as a beacon of hope in the bleak darkness of Infinity War’s climax, instead of a simple teaser for the next chapter of this grand saga, what would otherwise be an ancillary moment becomes an essential part of the story Infinity War tells. It’s almost too vital to be considered an empty bonus for sticking around through the end titles.